My previous ski trips have pretty much revolved around the après ski, as well as boozy lunches, big dinners, late nights and early morning hangovers. I knew a ski trip with a baby was going to be different, very different and I’m pleased to report it was just as much fun. Yes, honestly! I’m forever saying that having a baby doesn’t mean you need to put a stop to your travels. Your travel style might change and you may find yourself opting for package holidays where everything is made easy – especially when it comes to ski trips. Mark Warner are known for their family-friendly holidays and these guys made the whole experience a total breeze. They’ve done it a million times before, they know what parents want, they know what kids want and they know how to make life as easy as possible. George is up at 7am and babbling away in his cot. He’s desperate to escape and get out on the balcony. During our week at Hotel L’Aiguille he became obsessed with the balcony and loved sitting out there watching the mountains and trying to get the attention of the skiers. Breakfast begins at 7.30. It’s a casual buffet breakfast with plenty of options for everyone. The staff make a big fuss of all the kids so they’re all happy as they scoff croissants and eggs, cereal, toast and fruit. At 9am we take George to daycare and leave him in the capable hands of the nannies. Childcare is split depending on their age and George is in a group with just two other little girls. They have two nannies between the three of them and spend the day playing games and going for walks. They have their lunch with the nannies and we don’t need to pick George up until 5pm. You can drop in and see them at any point, take them for lunch or take them out whenever you’re ready. We’re then free for the day! We spend most of the day skiing and have an afternoon lesson from 2pm until 5pm. We collect George from the nannies and he always seems to be happy and smiling and in the middle of something that makes him giggle. We take him straight to the restaurant where Kidz High Tea is served. There are 3-4 options for the kids dinner and there’s plenty of fruit and desert too. While Kidz High Tea is served Afternoon Tea is served for the adults. Yes, this is the part where we’ve swapped après ski for afternoon tea! It’s a depressing thought but when you’re starving hungry and you’re faced with homemade soup, fresh bread, biscuits, cakes and lots of tea and coffee you can’t help but feel very smug. So while the little kids eat their dinner the big kids (that’s us) have tea and cake to tide us over until dinner time. We then have a couple of hours for the playtime-bath time-story time-bed time routine. At 7.30pm George is battling to keep his eyes open so I take him downstairs to the evening listening service run by the nannies. They show a film in the nursery and all the kids settle down on cot beds with sleeping bags. Babies over the age of one are also welcome and go straight to sleep in the cots around the back. I give George his milk, put him down in a cot, cross my fingers and sneak away without looking back. We head straight to the bar upstairs and have a drink before dinner. Dinner is a 3-course affair and the food is exactly what you want after a busy day on the slopes. You have 3 choices for each course and every evening was a real dilemma as I always wanted all 3. Unlimited wine is served throughout dinner so there’s a pretty jovial atmosphere in the restaurant! We pick George up from the nursery at about 10pm and usually manage to sneak him up to the room without waking him up. 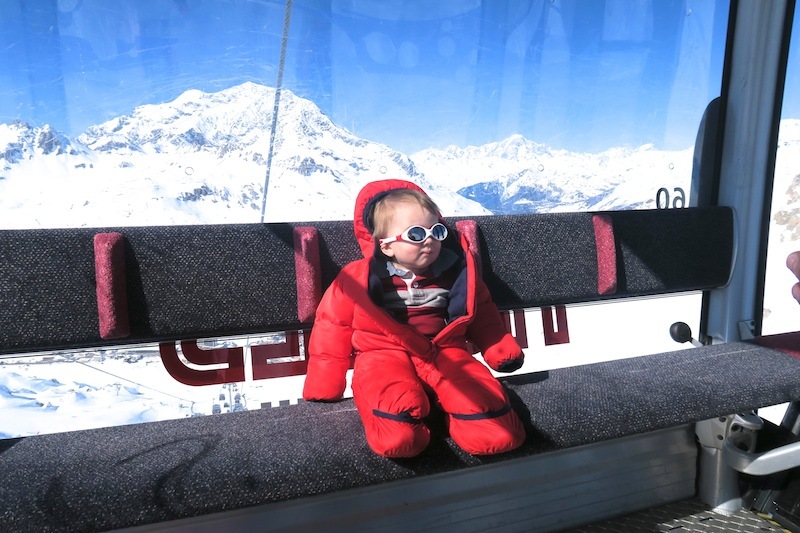 All-in-all, taking a baby skiing doesn’t have to change your usual ski routine too much. You might not have so many late-night, boozy nights but they don’t need to stop all together. 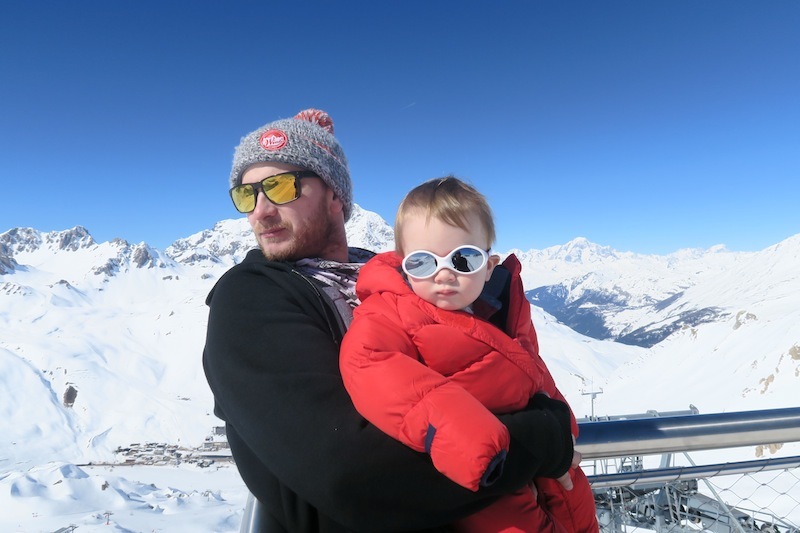 I don’t normally recommend package holidays but when it comes to skiing with children I wouldn’t recommend anything else – especially a package ski holiday that includes childcare. Everything is taken care of for you and you know your kids are well looked after – meaning you can relax and enjoy your time on the slopes or enjoy a relaxing dinner. You’re so busy on a ski holiday that it’s nice to have someone cleaning your room and cooking your meals too! I’ve heard of some families staying in a chalet and taking it in turns to ski while the other person looks after the kids. This could work in a big group but it’s nicer to be able to ski together so both parents fully enjoy the holiday. I 100% recommend Mark Warner for a family ski trip to Tignes. 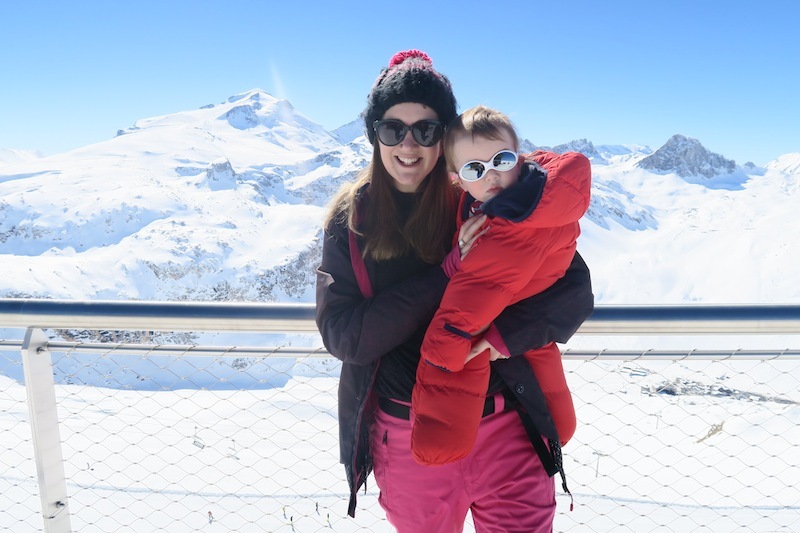 Tignes is a fantastic resort for skiing as you’re pretty much guaranteed snow and I’d definitely recommend staying at Hotel L’Aiguille Percee as the nursery is within the hotel. The hotel is also just a stones throw from the lifts – perfect if you have little kids who will get tired lugging their skis to the slopes. Find out more about Mark Warner’s child-friendly ski holidays here. Great post! Sounds like a really good company! 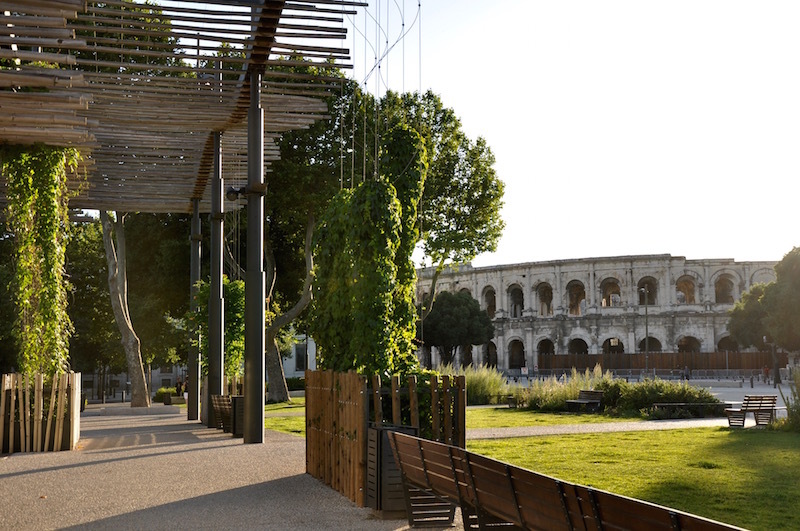 I worked as a nanny in France on a season and it was a great way for the parents to live their normal holiday whilst their little one is looked after! Your baby is precious! I’m glad you guys had fun. I’m going to recommend this to one of my friends so thanks for sharing! I can’t get over how cute George looks in his sunnies! This package sounds awesome for families though – will definitely share with my friends.